Theocracy -- God was king. Judges served God in guiding and saving the people. Key Problem: “Every man did that which was right in their own eyes” (17:6; 21:25). 1. 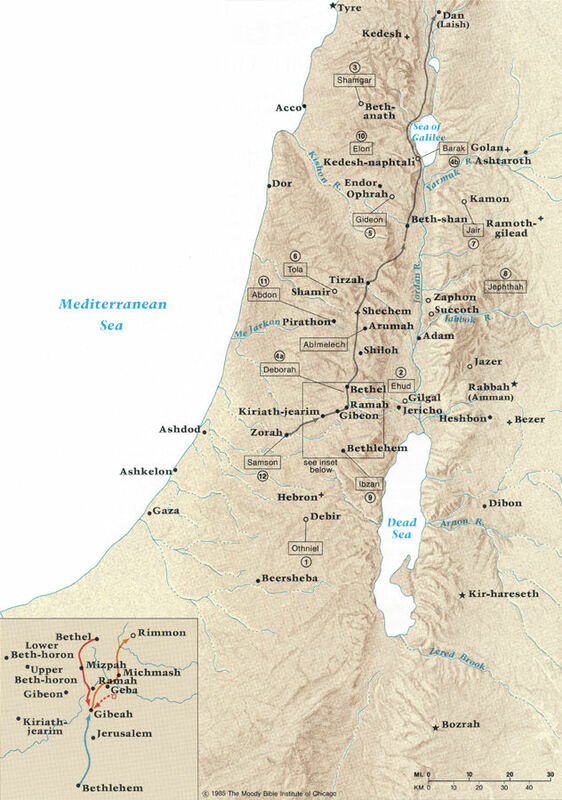 Judah & Simeon’s success driving out the Canaanites (1:1-20). 2. Failure of other tribes (1:21-36). 3. Cause of their problems (2:1--3:6). c. After each judge, apostasy (2:16-23). Othniel, Caleb’s son-in-law, defeated him and Judged 40 years (3:9-11). Grain stolen. People hide in caves. Abimelech, Gideon’s concubine’s son, killed father’s 70 sons, except Jotham, the youngest (9:1-6). Jair, Gileadite, 30 sons, 30 asses, 30 cities.